It has been our honour to represent you. Tell people how you felt about how we handled your case by leaving us a review on Google My Business. Or you can spread the word on social media by liking us on Facebook or following us on Twitter. To review a business on Google you need a Google Account. If you don’t have one there are instructions below on how to get one (the account is free). 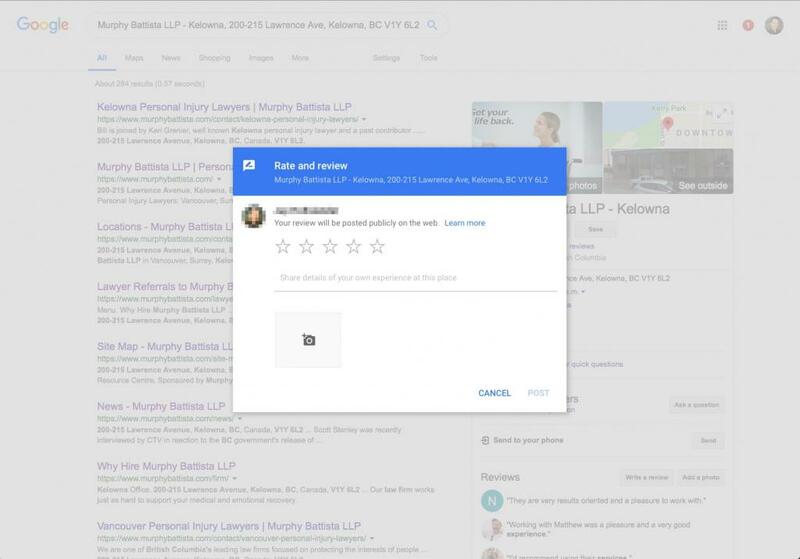 A “Rate and Review” pop-up will appear (e.g., the screen cap below shows the pop-up for our Kelowna office). In the window that appears, click the stars to score our service and share your experience including your lawyer’s name and any support staff that you want to acknowledge. Thank you, and we wish you all the very best in the future. 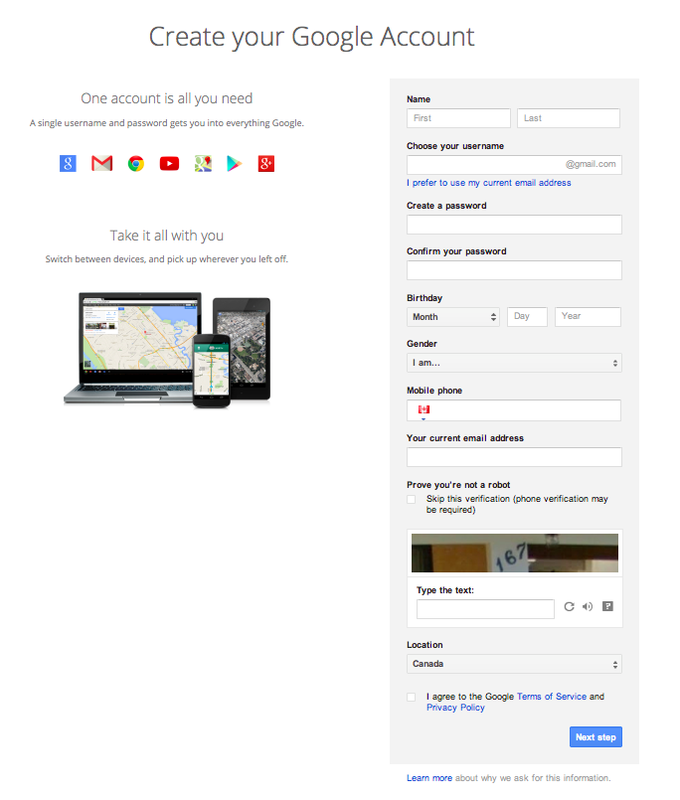 If you do not have a Google Account, you can create one for free. You can create one with a new Gmail Account or using your existing e-mail account. For Gmail, just click the Create an account link at the sign-in screen. Complete the form and then click Next Step. If you would like to create your Google Account using your existing e-mail address, please use this link instead. Complete the form as above. You will then be asked to create a Google profile. Uploading a picture is completely optional. Click Next to finish creating your Google Account. Now you’re ready to Get Started and Leave Your Review Now.